This is what it looked like when we first toured the house. It pretty much stayed that way when we moved in except we had less board games and more…junk in there. Office paper, luggage, air mattress, etc. It wasn’t pretty, but it was space that got filled. Well, when planning out how to do the new bedroom, there was one obvious transformation to me and it was to take this dingy, scary basement closet and brighten it up so my girl could read and play and laugh and enjoy herself in there. Who, as a kid, didn’t want a place to hide and pretend? So once the room was finally cleared out and we found new homes in our other nine closets for our miscellaneous junk, I began the arduous process of painting this cavern-like space. At 6-months pregnant BTW. I don’t think it helped my hip in the least. Nonetheless, it needed to be done and I had a vision. Unfortunately at the time I did not have a camera, so my vision is shared with you courtesy of my iPhone camera. Not great. But you get the idea. First, I cleaned the beast out and prepped it for painting. Second, I ripped off the old shelf liner and practiced adding the new liner on the top shelf. I actually found this cute green striped pattern at Wal Mart for $5 a roll. I used just under two rolls total. It went on pretty smooth, but I didn’t want to get paint on it, so I held off doing the rest of the shelves until it was painted. I proceeded to prime all the walls with white primer and then a coat of white paint. I knew I wanted to add some kind of visual interest to the back of the closet as well, so I taped off a lattice-like pattern on the top three shelves. The bottom was too low for me and I knew it’d be covered up anyway, so I didn’t bother. Also, you can tell, I didn’t measure these angles. They’re a little wonky in places, but oh well. I painted over the top of the tape with yellow and before it dried all the way I ripped off the tape. Now this is not normal drywall, it’s some kind of horrible wallboard that isn’t smooth or straight, so there are some obvious deficiencies. But we work with what we got, right? Toy Heaven! I used our leftover carpet remnant to cover the concrete floor and threw some pillows in there for her to sit and play comfortably on. I also used her drapes from her old bedroom and a staple gun to make a sort of fabric ceiling to cover up the ugly underside of the stairs. It softens the whole area and adds some interest. Also it didn’t cost me a dime, which was awesome. It added a pop to the big white wall that I was missing, and provides her with yet another opportunity to be creative, which I’m all about. And there you have it! She gets a private place to play and I get all her toys out of my living room, which totally rocks. So far it’s been a hit with her and any other kid that comes over. Is it bad that I’m a little jealous that I never had this when I was a kid? Ce la vie. At least I got to design it for her. 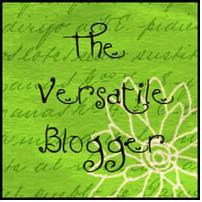 Hope all is well in the blogosphere and have a Happy Tuesday! Remember this little post oh way back in AUGUST of last year? Where I displayed this virtual board of what I wanted my 2-year-old daughter’s room to look like? Well I’m happy to say that it is FINALLY done! My friend and former fellow design school classmate Danielle from the amazing blog Danielle Oakey Interiors was kind enough to come and take pictures of the finished product, since my photography skills are severely lacking. If you haven’t seen her blog, you’re really missing out! Don’t mind the rumpled slipcover…I ordered it too big. It’s no wonder it took so long to transform! I have a whole different post planned for the evolution of the toy closet. It’s probably one of my favorite spaces in the whole house. Except I feel a little like Aunt Petunia telling Harry Potter to go to his room when I tell her to play in the closet, but hey, at least I don’t make her sleep in there! (Although she could if she wanted to. I tried to make it cozy.) So look for that coming up soon. And also, I have some awesome pictures of the new nursery; aka my new favorite room in the house. And the best part of all? She sleeps in her bed like a champ! No more crib for my big girl! 3. Tag eleven (or how ever many you can think of who haven't been tagged) people and link to them. 1. Would you rather eat ice cream or popcorn? Popcorn any time, any day of the week. I’m a salt fiend. Sometimes I go to the movies JUST for the popcorn. Not kidding. 2. Who is the biggest influence in your life right now? Hmm, this is an interesting one. Honestly it’s the (not-so) little peanut in my (not little at all) belly. Everything I think about and do and strive for is to get ready for her right now. And it’s really hard to not be influenced by someone who literally kicks you in the gut from time to time. 5. When it comes to books, what is your biggest pet peeve? Besides The Hunger Games? (lol I won’t go there) I’d have to say my biggest pet peeve is when I read something with a plot that starts out strong and then seems to fizzle at the end. Or a character that does the same. Basically when you can feel that the author had to hurry up and turn something in to their publisher. 6. Do you sleep with your closet doors open or closed? Closed. All of our closets have automatic lights that turn on when you open them. The joys of an old house that used to be owned by an electrician. 7. Do you have a theme song? Please share. Oh I wish I did! Like Cronk in The Emperor's New Groove! I think I’ll be working on that. 8. Where would you bury treasure if you found some? Under the gigantic grape bush we have proliferating on our fence. That thing seriously takes OVER in the summer, it’d be impossible to get under! Muahaha! The treasure’s mine! ALL MINE! 9. What book and/or movie could you read and/or watch over and over? Pride and Prejudice on both accounts. Colin Firth is a dream boat. 11. Is it okay for guys to wear pink? Depends on the guy and the amount of pink in question. My husband wore a pink tie for our wedding and it was dashing. But a pink polo? I think not. Okay! That’s it for my answers. Now I have to think of 11 NEW QUESTIONS? Oh this is going to be hard. My brain is unreliable at best these days. K, here goes. What’s the absolute WORST book you’ve ever read? Have you ever broken a bone? Which one and how? Okay that was actually fun! I hope I get some answers on these! Now to tag some lovely people. Sorry if you’ve been tagged already and like Ruth said, participate if you wish! Okay that’s all I’ve got in me. I’m off to let these wonderful bloggers know that they’ve been summoned and that they too, must participate in the taggage. Yes. I made up a word. So my little bookcase project was on the IKEA Hackers website today! Go check it out here! Pretty cool huh? I don’t really have more to say. I’m just counting minutes of every hour of every day until I have this baby. 3 weeks to go by Dr.’s timeline, but I’m praying for her to make her debut sooner than that. Either way, her nursery will be making its debut soon enough, as I get the bedding on Monday and other than that it’s done! Yahoo! Happy Valentine’s Day everyone! I hope you all have wonderful days planned with your loved ones. The hubby and I are putting the festivities on hold, until after this baby comes. I’m not much of a date, what with the waddling, the huge belly that barely fits in restaurant booths, and the need of a donut pillow wherever I go. How’s that for a visual? TMI? Oh well. Anyway, I can still feel festive today, right? I did my little girls hair in the shape of hearts (see pinterest picture here ) and I’ve been thinking pink all morning. So today I’m dedicating my post to all things pink! First, a book: When I was in elementary school I read this book that captured my imagination so fully that I still remember the title to this day. In fact, I found it on Amazon and will be ordering it for my little girl to read one day. It’s called The Mystery of the Pink Waterfall by R. Dwayne Moulton. Everyone has dreamed of having a special place all their own. A secret place that nobody else knows about. Little did Jennie Maria know that she would find hers as she obeyed her dying grandfather's last request to find the secret of the Pink Waterfall. After negotiating a dangerous route full of narrow trails, tipping tree bridges and rock slides through dark caverns, Jennie Maria finds herself trapped in a wondrous hidden valley after a storm sends flood waters to seal the entrance. Her only communication with the outside world is her best friend Jason's messenger pigeon, Zippo, and her only companions are the animals of the valley who are surprisingly quite tame. Jennie Maria's grandfather has been preparing for her arrival and has built her an ingenious cabin with hot and cold running water, a luscious garden filled with fruits and vegetables, and a detailed book that tells her the history of the valley and its former occupants, the legendary Lapishami Indians. Will Jennie Maria discover a way to get home or is she stranded in this Paradise until the waters recede with the next summer? Fun and intrigue for children of all ages, check out The Mystery of the Pink Waterfall and find out! Right? Even reading this summary I’m brought back to reading about her learning to live in this magical valley with everything provided for her that she could possibly need. It was one of the first books that I truly lost myself in, and those kinds of books stick with you. Next, in Design: Pink is making its presence known lately in interiors. Whether it’s a monochromatic scheme, or used as a pop of color to accent, pink is no longer just for little girl’s nurseries. I have to say, I’m loving the idea of using a fresh modern pink in one of our upcoming Noah’s projects… But in the meantime, here are some examples of beautiful pink interiors. Who doesn’t love a pink couch? Lastly, a Game: Okay I’m not going to lie, this was kind of hard. And this might be a stretch, but the only game I could think of is one I'm playing on Facebook and it’s not always “Pink” themed. I’m talking about The Sims Social. I know, way to branch out Kadie. But seriously, this game is addictive and right now they’ve got all these Valentine’s Day items and quests and it’s a lot of fun. But I realized I’ve only talked about hard-core gamer-type games on here. I’m also a casual game enthusiast. I love time-management games, these weird energy-based games where you only get so many turns, and even the occasional hidden object game. If you don’t know what I’m talking about, a good place to find and play free games like these is www.wildtangent.com. They have TONS of casual games you can try out for free for as long as you want. Be warned, they are addictive. And of course, if you’re on facebook, come be my Sim neighbor! There you go, a little Pink goes a long way. I hope you all have a fantastic Valentine’s Day! Life, The Universe, and Everything…But Me. I know there is an awesome writer’s conference this weekend, and I know that it’s within driving distance from me, and I know that it’s really affordable and that I should go. But I also know that this 8 1/2 month pregnant body would not be able to handle it. And it makes me sad. Luckily, I know so many of you wonderful bloggers are going and I can’t WAIT to hear about it come Monday! I wish I could go and meet all you lovely people face-to-face, but it seems that will have to wait until next year…or the next close conference. I guess this could be part three of my latest Interior Tuesday series, centered around my bookcase, but there’s more here than just my bookcase now and I absolutely love this goofy little corner of my house. You can see the sprinkler pipes peeking out from behind those curtains. And you gotta love that carpet huh? I won’t even mention the pillows. Better, but still not very functional. This is the tiniest sofa ever. It was the first piece of furniture we ever bought together and I think it was $200 from Kmart. It worked when it was just us, but it really isn’t very comfortable. Anyway, this area of the basement was pretty much unused. When we found out baby #2 was on the way we realized we needed to shift everything around. The office had to move so we could move our 2-year-old’s bedroom down there. Well this meant not only finding a new place for our computers, but also for all my scrapbooking and crafting supplies. I didn’t want the nasty plastic table I was currently using, so I took this opportunity to splurge on the IKEA Expedit bookcase / desk combo. You already know about all that drama, so let’s get to the pictures shall we? The bins are for Eisley’s craft supplies; markers, crayons, stickers, etc. She can reach them, and I can see her from my desk. We put another chalkboard above the table just for fun. I’m going to hang a picture wire so we can put paintings up to dry or pictures she’s drawn. She loves her new table and chairs. It’s so nice to have a dedicated area to work on projects. Plus my desk is kind of hidden so I don’t have to clean up if I’m still in the middle of something. And it’s been so nice to have a place for her to do her art projects. Yes, yes we’re all on Pinterest. It’s amazing. It’s been such a great tool for my work, and for inspiration and for smart ideas. I finally buckled down and tackled one of these smart ideas and made my own Button Monogram for Baby Girl’s new nursery. This project was originally posted here and I fell in love with the idea. So I started collecting buttons in the color scheme I knew I wanted to do for the nursery. I previously did not have a random button box like my mom seems to have had since before I was born, so it took some time to get a good collection. Luckily she was kind enough to let me go through said button box, so I got some unique cool buttons in addition to the store-bought basic ones. I’m a little bit in love. She lists her process in her blog, but there were a few things I did differently. First I used simple scotch double-stick tape to cover the inside of the “A” before placing my large buttons. This allowed me to reposition and move things around if I wanted. Next, I layered most of the buttons using a hot glue gun. I had to clean off all the glue strings, but it gave me a really good hold that I’m not worried about hanging up. And last, when I started cleaning it up with brads, I used my seam ripper to poke holes in the paper first. This helped me stop from bending my paper by trying to force a brad through double-stick tape. I’m sure they have more sophisticated tools for that, but the sharp, small point of my seam ripper worked great. And last but not least, I used a shadowbox frame to allow for the depth. This baby is like three layers deep in some places, and I wanted to be able to put the glass on it to protect it. I’m not sure we’ll be hanging it up, but she had fun all the same. Have you found any projects on Pinterest that you’ve tried? Or are there any you’re wanting to attempt? Do share! I'm in a slump, writing wise. And I've found that nothing inspires me more than a good book. I also know that in the next few weeks I will be having this baby (PRAY for me that it's sooner rather than later) and if my labor is anything like last time, I'll spend a lot of time in a bed, numb and waiting. And last time I was so irritated I couldn't have the TV on. So my poor mom and husband were stuck in there with me, completely silent. Well my mom had a book and my husband had his laptop so I guess they weren't too bored. But the point is, I'm going to need something to keep my mind busy. So what books have you read lately that have knocked your socks off? I'm open to most anything besides horror or gory stuff. For example, I hated the Hunger Games so nothing like that. But any other good YA books you guys can recommend? I look forward to checking them out!